Whether he's bringing the Heat or introducing us to Public Enemies that should've been knocked out by either an uppercut from Ali or a sting operation courtesy of Miami Vice , filmmaker Michael Mann is perhaps best known for his own signature brand of sprawling urban epics. In addition to an emphasis on gritty realism, Mann has a penchant for leaving us breathless with a noticeable passion for selecting offbeat musical selections he then marries with startling visuals in montages that walk an enviable line between Kubrickian irony and MTV cool as evidenced in Collateral . And fittingly given the filmmaker's surname, Michael Mann's films frequently fixate on men as part of a coolly calculating, morally challenged, testosterone tested ensemble of antihero characters who do their worst by the flicker of moonlight, which is cinematographically captured with hand-held docudrama urgency. 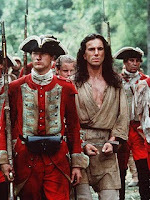 On the surface, there's very little about Mann's breakthrough crossover historical literary wartime romance The Last of the Mohicans that seems to have much in common with the stuff of latter day Mann astute cineastes can recognize in a mere sequence. Yet in addition to his emphasis on complicated three dimensional characters, a chivalrous old-school code of looking out for the ladies (regardless of how feisty or capable they may be) and an obsession with authenticity in even the tiniest details, what we ultimately see in Mohicans is the start of what would become his eventual approach that's disguised as a glossy Hollywood corsets and gunpowder soap. Instead of a string heavy uplifting orchestral composition or the expected employment of Native American source music that would've been appropriate for its 1757 setting, consider Mann's slightly surprising but amazingly effective decision to use Gaelic pulsating rhythms in the film's now instantly recognizable score that alludes to the true blood heritage of Daniel Day-Lewis's Hawkeye, the “adopted white son” of a Mohican chief. It's this experimentation with music and Mann's tendency to load every beat of his film with information that drives the plot forward while also connecting with us on a subtextual level that signals Mann's unorthodox technique in ensuring that we're brought into the drama rather than pushed back or kept at arms length, which is the period movie genre's greatest challenge. 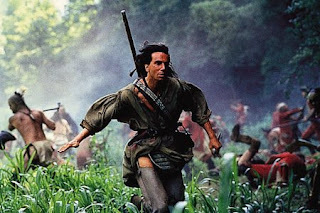 And while Dante Spinotti's hauntingly gorgeous lensing of pre-Revolutionary War landscapes makes it hard to focus on anything other than its unparalleled scenic beauty, Mohicans is further strengthened by the shooting style employed. Rather than taking everything in by a stationary camera and then cutting into the action for a key confrontation here or there, your adrenaline races while witnessing full scale battles both from the individual points-of-view of Hawkeye and those fighting for their lives as well as in the grander anamorphic classic tradition that foreshadows the “bigger picture” master shots vs. intimate hand-held footage Mann employed in Heat . 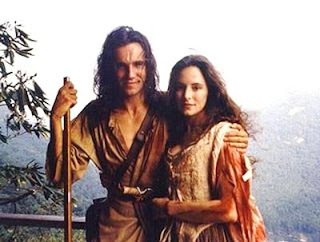 Yet, Mohicans is more than just technically dazzling but emotionally compelling as well, as Hawkeye finds something worth living and dying for after laying eyes on Cora Munro (Madeline Stowe), which isn't hard to believe given the tangible chemistry shared by the smoldering looks that pass between the strong leads. Weaving in plenty of adventure along the way, the would-be lovers' storyline is enriched with a romantic rival in the form of a love triangle as well as a shadow relationship as Hawkeye's Mohican brother Uncas (Eric Schweig) is similarly impacted by Cora's sister, Alice (Jodhi May). 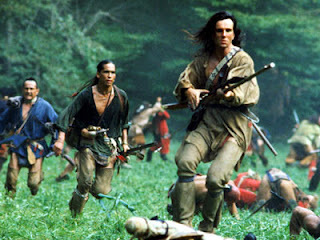 A remarkable filmmaking feat, Mohicans is an intense tale of survival, revenge, betrayal and passion during America's French and Indian War that brings James Fenimore Cooper 's classic novel to life in the strongest possible way since the 1936 adaptation , which incidentally was Mann's biggest source of cinematic inspiration. While it does tend towards melodrama in the final act and one of Day-Lewis' earliest scenes finds the actor slipping into his real-life accent anachronistically, even the tiniest flaws can't damage Mann's otherwise rousing crowd pleaser, which refreshingly manages to appeal to both men and women thanks to an intellectually satisfying screenplay and emphasis on character development rather than carnage. 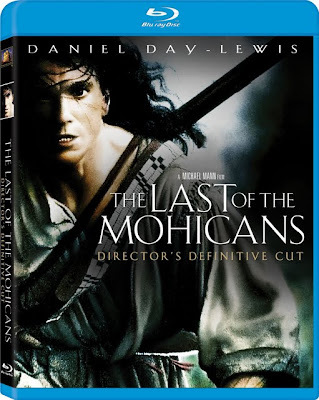 Boasting a previously unseen “definitive” director's cut version for this sumptuous Blu-ray transfer that transforms your home theatre room into an eighteenth century battlefield, Mohicans additionally serves up an extensive behind-the-scenes informative documentary that delivers historical data intercut with anecdotes from cast and crew members. Therefore, regardless of how long it's been since you Last heard Day-Lewis beg Stowe to “stay alive” in a romantic speech that's tinged with darkly heartbreaking realism, in Fox's newest edition, Mohicans continues to stun. Yet more than just attracting action film fans, it's particularly seductive to those familiar with Mann, who are likewise eager to revisit this transitional epic that took him outside his comfortable contemporary urban battle zone.